A rare original Greek copy of 'Jesus' secret teachings to his brother James' has been discovered by biblical scholars. 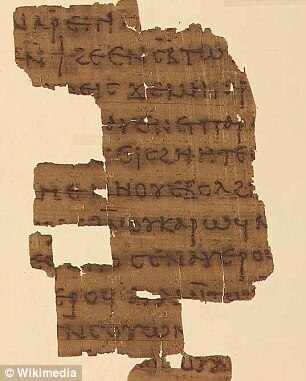 Fragments of a 1,600-year-old heretical document describe how Jesus passes on knowledge of heaven and future events, including James' inevitable death. The text, from the story the 'First Apocalypse of James', refers to James as Jesus' brother, though 'not materially'. The story was deemed 'forbidden' because writings that added to or changed the existing New Testament in any way were not permitted. 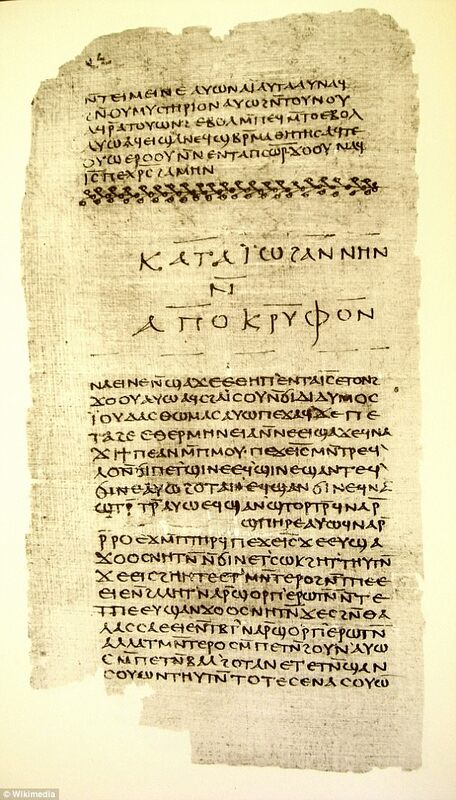 "This new discovery is significant in part because it demonstrates that Christians were still reading and studying extra-canonical writings long after Christian leaders deemed them heretical," Geoffrey Smith, an assistant professor of religious studies at the University of Texas at Austin and one of the two scholars who made the discovery, told Newsweek. Earlier this year, researchers discovered that one of the library's texts stood out because it was a copy of an existing piece written in Greek. 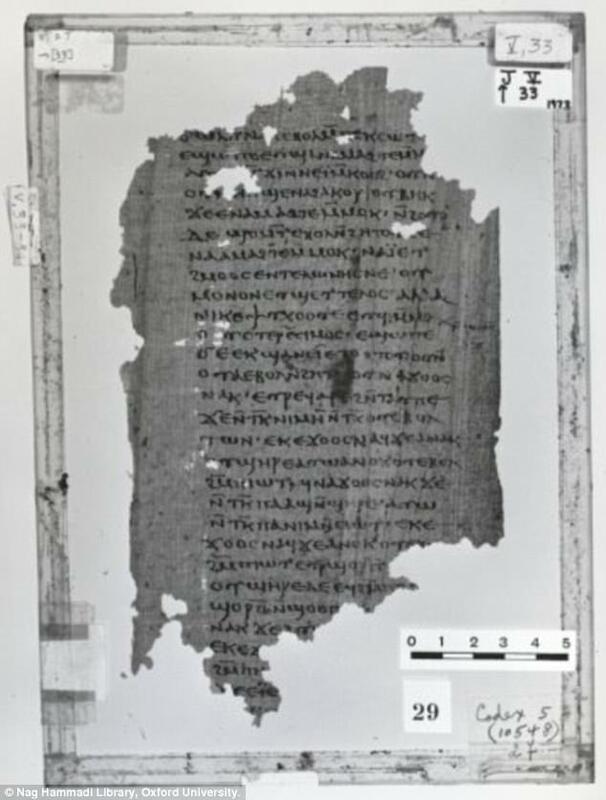 They found several fifth- or sixth-century Greek fragments of the Gnostic story of the First Apocalypse of James, which was thought to have been preserved only in its Coptic translations until now. The researchers, from the University of Texas at Austin, say the text was likely used as a teaching piece to help young Egyptians learn Greek centuries ago. 'To say that we were excited once we realised what we'd found is an understatement,' study coauthor Dr Geoffrey Smith, a scholar of Biblical Greek and Christian origins, said. The ancient manuscript is famous for describing Jesus' secret teachings to James, who he frequently refers to as 'my brother'. Jesus notes that James is not a real sibling, however, describing his friend as 'not my brother materially'. 'The text supplements the biblical account of Jesus' life and ministry by allowing us access to conversations that purportedly took place between Jesus and his brother, James - secret teachings that allowed James to be a good teacher after Jesus' death,' Dr Smith said. 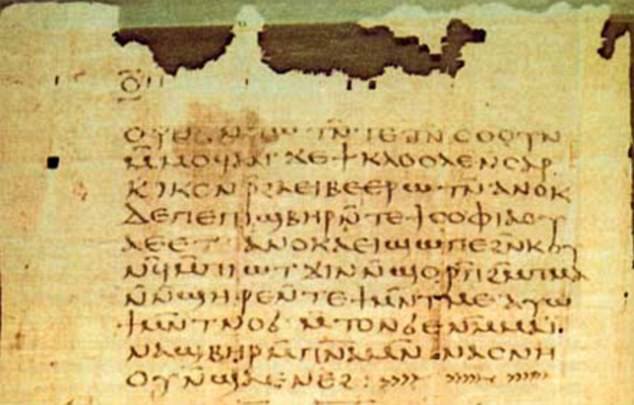 The Nag Hammadi library, also known as the 'Gnostic Gospels', is a series of 52 religious manuscripts written sometime between the 2nd and 6th Century AD. 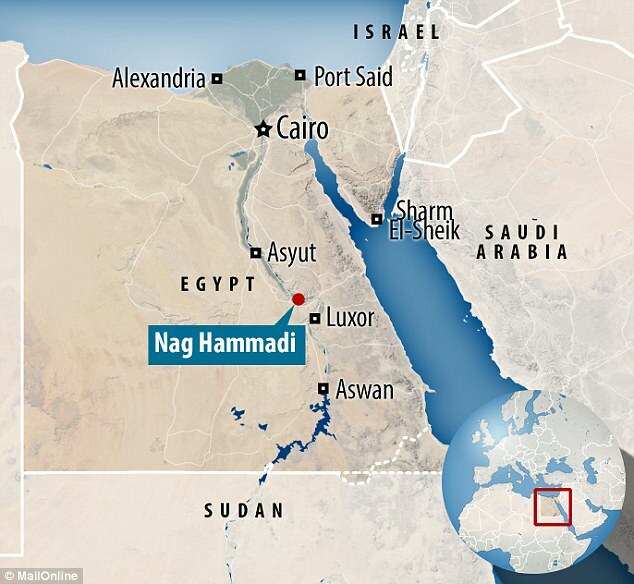 The library of manuscript fragments was found buried in a large jar in what is now the small town of Nag Hammadi, Egypt, in 1945. Spread across 13 leather-bound codices, they are of a heretical tradition known as Gnosticism – an early, mysterious form of Christianity. Real records and copies are currently kept at Oxford University. The texts provide a rare glimpse into Gnosticism, a sect whose records were mostly destroyed during the early Christian struggle to define 'orthodoxy'. They are technically heretical as they fall outside Christianity's canonical boundaries set by Athanasius, Bishop of Alexandria in the Third Century AD. The text is technically heretical as it would have fallen outside the canonical boundaries set by Athanasius, Bishop of Alexandria in the Third Century AD. The original manuscript was probably a teacher's modelling tool used to help students learn to read and write Greek, the researchers said. They say the text's neat, uniform handwriting, as well as its words being separated into syllables, suggest it was penned by an academic. 'The scribe has divided most of the text into syllables by using mid-dots,' study coauthor Professor Brent Landau said. The teacher who produced this manuscript must have 'had a particular affinity for the text,' Professor Landau said. It does not appear to be a brief excerpt from the text, as was common in school exercises, but rather a complete copy of this forbidden ancient writing. The discovery was announced at the Society of Biblical Literature Annual Meeting in Boston in November. Gnosticism is a modern name for a variety of ancient religious ideas and systems, originating in Jewish culture in the first and second century AD. The movement grew from readings of both the Torah and the Bible at a time when Christianity and its teachings had no orthodoxy. Because it is based on readings from two religious texts, scholars have claimed it is both an interreligious belief and an independent religion. The Gnostic ideas and systems flourished in the Mediterranean world in the second century AD, influenced by early Christian movements. 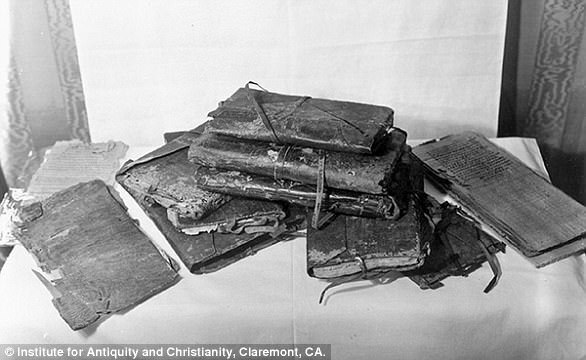 Many of its texts and records were destroyed during the early Christian struggle to define 'orthodoxy'. This refers to Christianity's attempt to unite its sects in faith and by a common approach to theology, tradition, and worship.